We are just a few days away from some serious eating - yup, it's Thanksgiving. Turkey with all the fixings ... so good ... although I think I love the side dishes more than the main course. Speaking on Thanksgiving, I just read a great column on The Green Guide by Amy Topel. 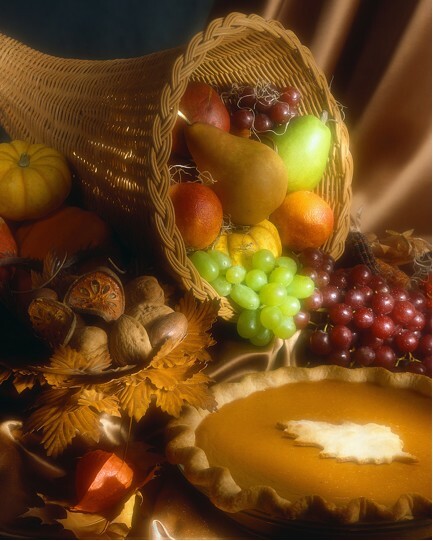 "Thanksgiving is a day to be thankful for the harvest—the local harvest that takes place right near our homes. We should be thankful not just for the delicious food on our tables but for all the benefits that local growers contribute to our lives and our country. The health of our nation and each one of us rests on the well-being of small family farms. When those prosper, our environment, economy, and families all share in the good fortune." Check out her full column: Celebrate the Harvest This Thanksgiving. So, how can we make our Thanksgiving a little more local and a little more "green" in the process? How about getting a local turkey! My local newspaper had a great article about local free-range, organic turkey. It seems the overall opinion was that these birds are worth the higher price tag because they just taste better. I'm not surprised. The first time I ate organic chicken I realized that chicken actually tastes like something. Chicken is a flavor, not just a catch-all for anything without a flavor. It may be too late to reserve your local free-range turkey for this year, but seriously consider it for next year. It's an easy way to delight guests and "green" your feast. Just a few simple things not only make for a delicious dinner but also help support local farmers and the environment. So, this Thanksgiving let's celebrate the harvest in "local" style.